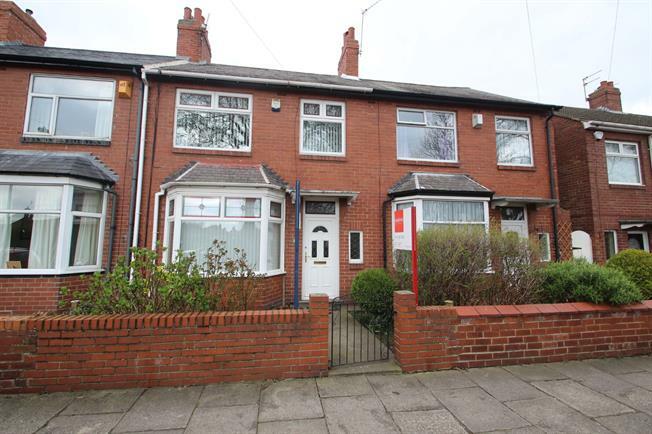 3 Bedroom Terraced House For Sale in North Shields for Asking Price £185,000. Spacious Three Bedroom Terraced house Served with No Chain. We welcome to the market this good sized three bedroom house located on the quiet Brightman Road in North Shields. The property is situated close to local transport links and amenities including bus and metro allowing easy access to popular Coastal Towns including Tynemouth and Whitley Bay. In brief the property comprises of a hallway leading to a welcoming lounge with bay window and a large Kitchen with dining area. To the first floor there are three bedrooms and a family bathroom. Externally the property as a yard area and a Detached Garage.